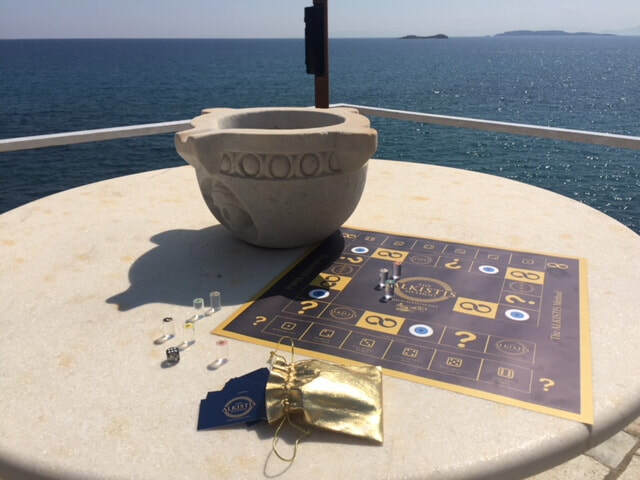 See welcome video below for the 'KNOW THYSELF" Game by the creator, Dr. Alkistis Agio. The KNOW THYSELF GAME ® is a fun, liberating, educational game, that has been created, to increase the Confidence & ‘Self-Leadership’, of the players, while having a lot of fun! Warning : ) Once you play a few times, you will be 'hooked' on this life-transforming game, and may even wish to apply to become a Certified Facilitator to earn while you play the game with others ! Harness your greatest fears & weaknesses. Become an influential & effective leader. Understand, embody & articulate your values, purpose & vision. Take good, balanced decisions that lead to optimal results. Be your most powerful, authentic self. Find authentic happiness & success. Some fun moments from the game at a global organization. ​"Guided Inner Journeys" page of "ALKISTIS Island"